Great little get around boat for the Sea, Bay or the Lake... where ever you wanna go boating... handles all conditions well. engine rebuild 200 hrs ago - very sweet running motor. 140 Yamaha outboard with 5 hp Mercury Auxillary, this little beauty runs really well, pontoons make this a very safe run about and handles conditions well. 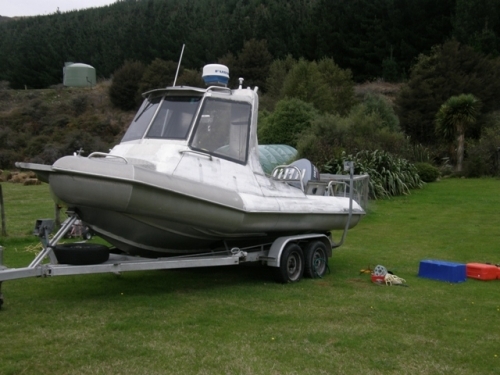 Boat is on a tandem trailer with an extendable drawbar and is great to tow.